2 Pools • 7.000 m2 • Maximum Privacy • Maximum Freedom • Unlimited Sea and Garden Views • Boat in Marbella • 5min to beach. This was a fantastic place to stay for our family. 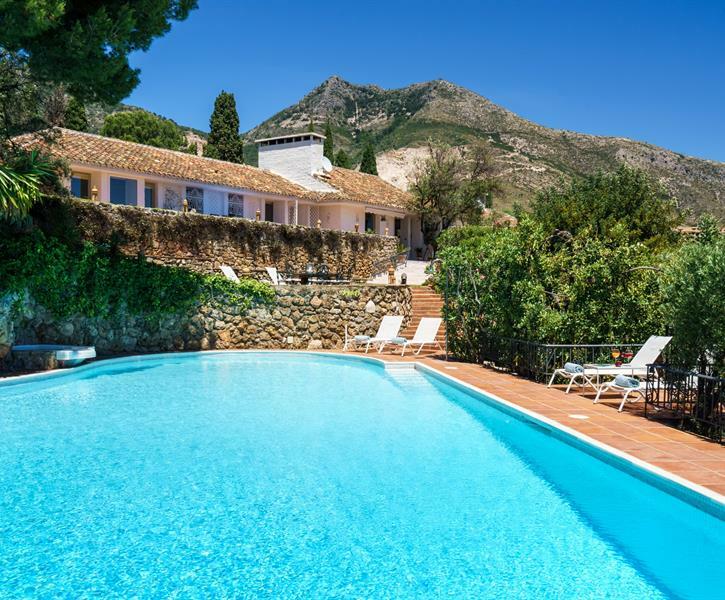 The villa is absolutely beautiful with a lovely swimming pool with fantastic views. The outdoor spaces are a plenty and very elegant and comfortable. There is lots for the kids to do that includes an indoor pool which was useful for them to get a break from the midday sun. The local village is a beautiful authentic Spanish village with lots of lovely restaurants and quirky little shops to amble around in and all within walking distance from the villa. I would guarantee that you will have a wonderful time at this amazing villa. The property, facilities and location were perfect for our `special` family celebration` this couple with the always on hand friendly and attentive staff made for a perfect holiday. The views are spectacular and from sunrise until the end of the day can be enjoyed from the palatial main patio area. the advertised pictures cant do the property justice and we have already enquired about a return visit. I stayed here for 1 week & in total there were 7 adults, 1 baby & 2 kids so 10 in total, 4 separate families & this Gillian was perfect for that. You could all more than comfortably spend time together but also separately if you wanted. The photos on the website done this villa no justic at all, it is even more beautiful in real life. The rooms are huge, house is clean what more do you need. You can take dogs but if you don't have a dog this house is still perfect as you would never know dogs have stayed. The best bit for us about it was the fact that it had both a indoor & outdoor pool which was ideal for my baby as outside was too cold. The location is just perfect, just a 10 min walk you come to a lovely square with beautiful restaurants. Diageo the live in caretaker was fantastic too, helped us with the BBQ & called a taxi for us when we needed one. I am a very fussy person but this villa totally lived up to my expectations & I would return & recommend to my friends & family. We had a wonderful time at the house. We were 12 persons staying in the house (8 adults and 4 children). We were met by Elena at arrival, who has provided excellent service before and during a the stay. The property was clean and well-maintained and the facilities were as described. We highly recommend this property.